“RZD Logistics” offers services for transportation in regular container trains across Russia, CIS, as well as on export/import routes. Containers ideally suit for the delivery of relatively large volumes of cargo. Consolidated cargo formation is optimal for transportation of small volumes. The service involves providing clients with complex of additional “door-to-door” services, such as terminal cargo handling, its delivery to the station of departure and from destination station to the final point by automobile transport. 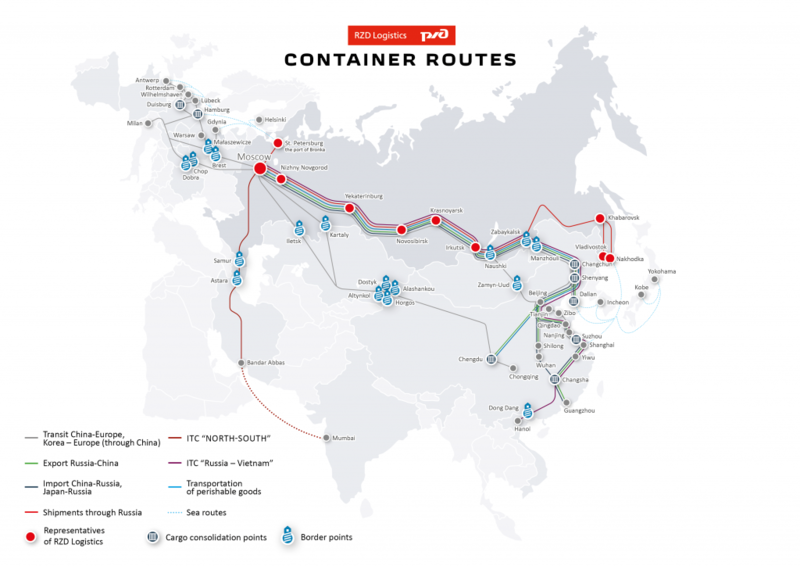 “RZD Logistics” weekly organizes regular import and export shipping of general and consolidated cargo from China to Russia in 12-14 days. Vorsino (the Kaluga region) – Suzhou – Vorsino. Shipments are regularly organized in reefer and dry containers – once in two weeks. The delivery time – 14-15 days. The services is implemented in cooperation with Russian Export Center with support of PJSC TransContainer and JSC Russian Railways.